Irish employees are among the most sceptical in the world when it comes to placing trust in their employers. That is according to the ‘2019 Trust Barometer’ from communications group Edelman. Just under seven in 10 employees in Ireland say they trust management in their companies. Out of the 27 countries studied in the report, only six others had lower rates of trust in management. Overall, three-quarters of employees globally say that they trust their employer, according to the barometer. “The past two decades have seen a progressive destruction of trust in societal institutions, a consequence of the recession, fears about immigration and economic dislocation caused by globalisation and automation,” said Edelman president and CEO Richard Edelman. “Now we are seeing a further reordering of trust to more local sources, with ‘my employer’ emerging as the most trusted entity, because the relationships that are closest to us feel more controllable,” Mr Edelman added. 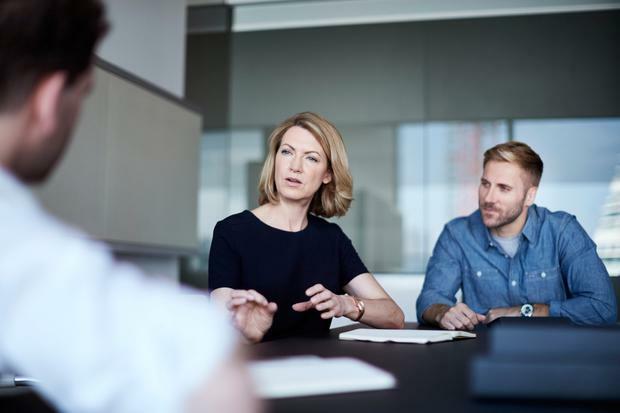 While employees are ready and willing to trust their employers, the trust must be earned through more than “business as usual” the report found. For instance, employees’ expectation that prospective employers will join them in taking action on societal issues (67pc) is nearly as high as their expectations of personal empowerment (74pc) and job opportunity (80pc). For employers, there are a number of benefits in meeting employee expectations and building trust. Employees who have trust in their employer are far more likely to engage in positive actions on their behalf – they will advocate for the company, are on average more engaged, and remain far more loyal and committed to the business. Meanwhile, the report found that trust is also divided along gender lines, with women more sceptical about institutions than men. The gender trust gap is in the double digits in several developed markets including the United States and Germany, and it is mainly driven by women’s lower trust in business. Elsewhere, three-quarters of respondents say that CEOs should take the lead when it comes to making changes, rather than waiting for governments to impose it. A similar number believe that companies can improve society and continue to operate successfully. Pessimism, meanwhile, is widespread among people. Only one-in-five of respondents believe that the currently global system is working for them, while in developed markets, only one-in-three of that cohort believes his or her family will be better off in five years’ time. The fears of job losses among the general population remain high, whether caused by a lack of retraining and skills (59pc) or automation and innovation (55pc).